Not much to say about the weekend. She spent a lot of time and effort on her patio garden. New plantings and a fresh coat of mulch –lots of it– made the place look great. A couple more trips to the garden center and we are equipped with new planters and soil for home grown organic herbs. The weekend was mostly cloudy, rainy, and there was a definite chill in the air most of the time. There were periods of sunshine and even some clearing at night. In general, however, it was a gray weekend. Sunday capped it off with a midday thunderstorm. Three deep rolls of thunder set the mood as did heavy rain falling on the spring green grass. 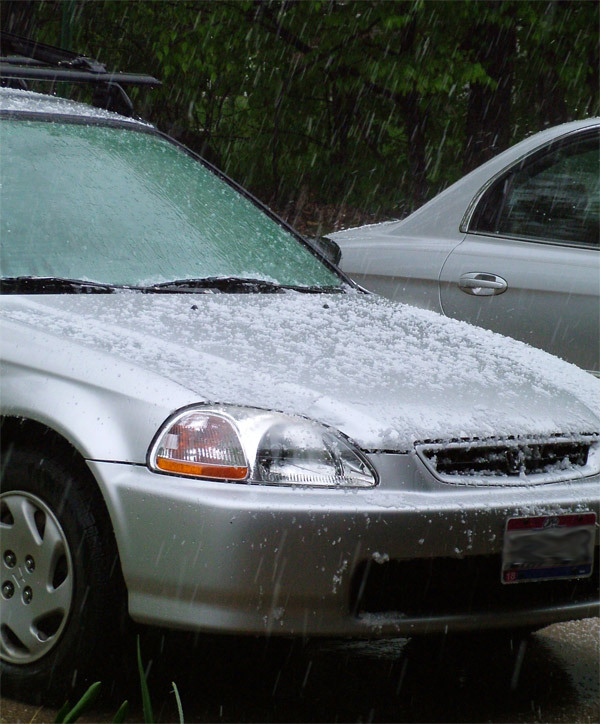 Then we noticed… a lot of that "rain" was hailstones. The pellets were tiny –smaller than peas– but numerous and the fall continued for a couple of minutes. Sheets of ice slid off of our car and piled up on the fresh, black mulch. It took a while to melt away but it made for an interesting garden accent. Very weird seeing that slushy mulch with the flower there. 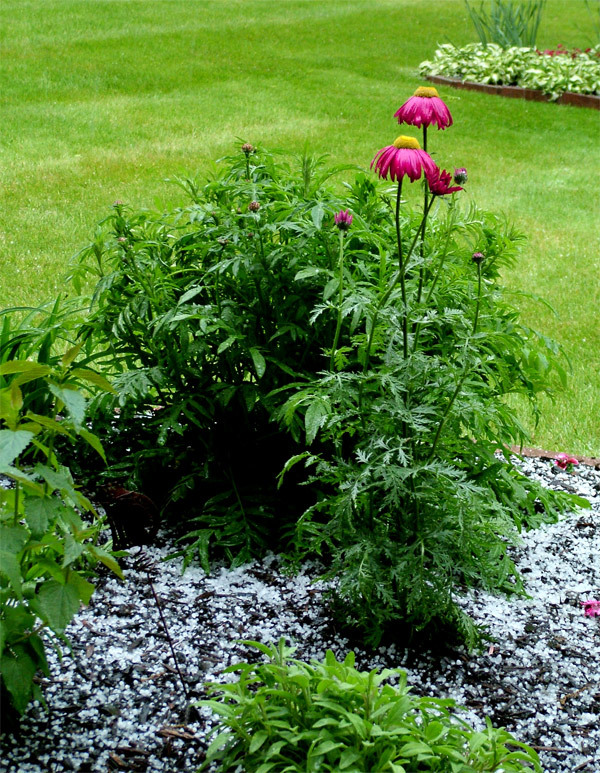 Hail can make for some very pretty photos – a little harsh on the poor spring flowers though. It will be nice when we get some spring weather – maybe this weekend.